Every holiday I like to make my daughters something special. 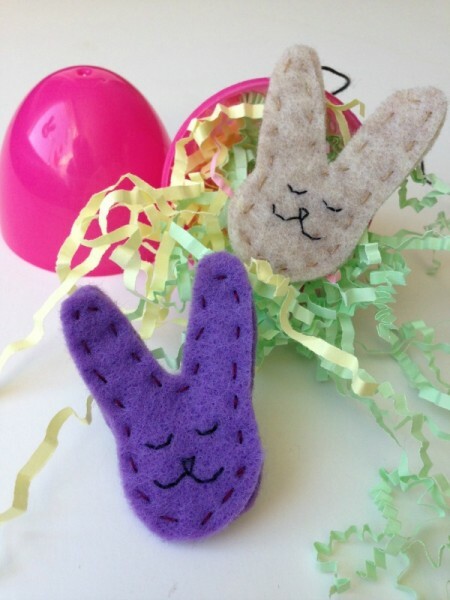 I love working with felt…I have share tutorials for making a cute rainbow brooch, flower pins and little felted Easter chicks. 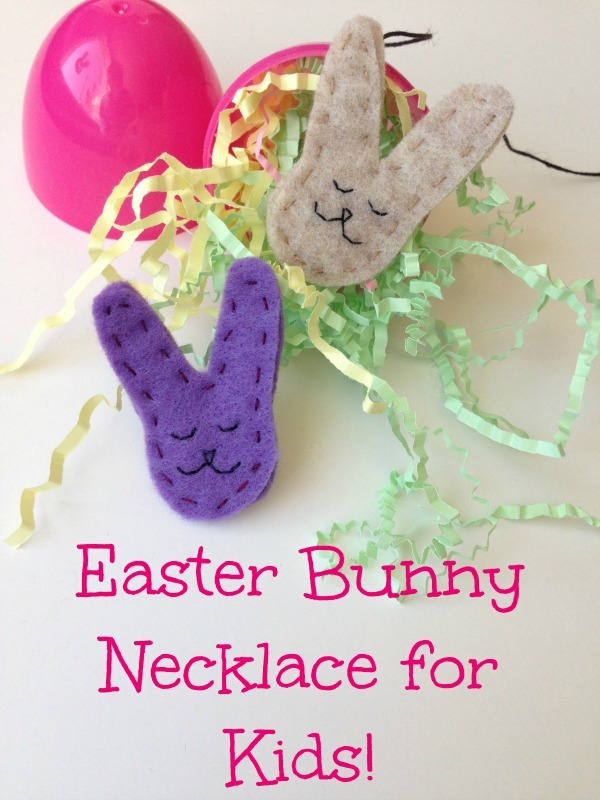 This year I thought it might be fun to make a simple felt Easter bunny necklace. These little necklaces take no time to make, all you need are a few scraps of felt and a some string. I will pop these little necklaces inside a plastic Easter egg and gift them to my daughters for Easter…and I’ll keep one for myself. 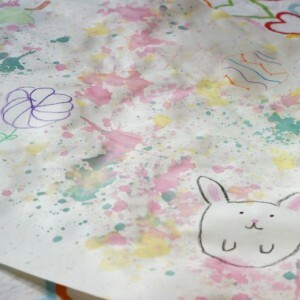 The first step is to draw a bunny head. 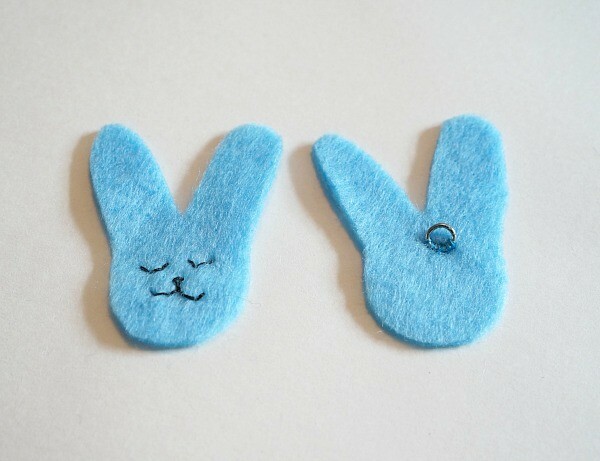 I traced a spool of thread for the bunny’s head and then drew on a pair of ears. 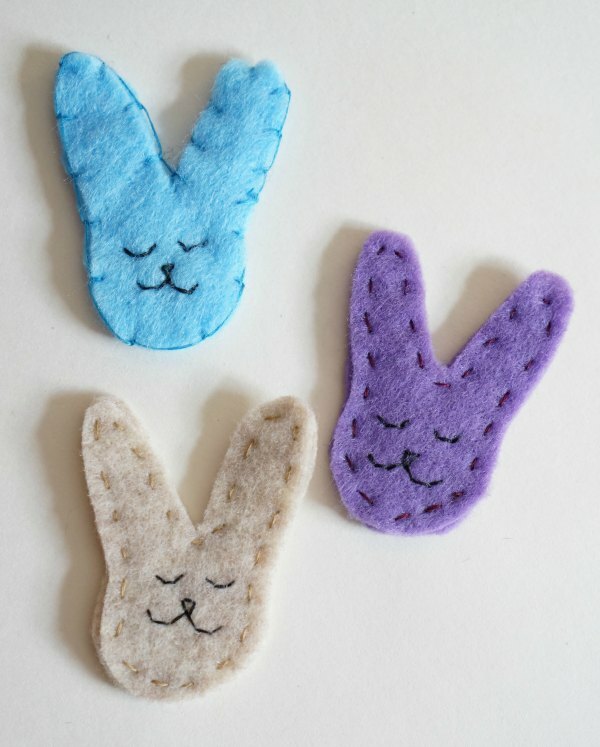 Once the bunny is drawn on paper, pin and trace the bunny shape on a piece of colourful felt. Cut the bunny head out of the felt…you will need two bunny heads. Now it’s time to sew the bunny face and add the jump ring for the necklace. Use black thread to sew on the eyes. 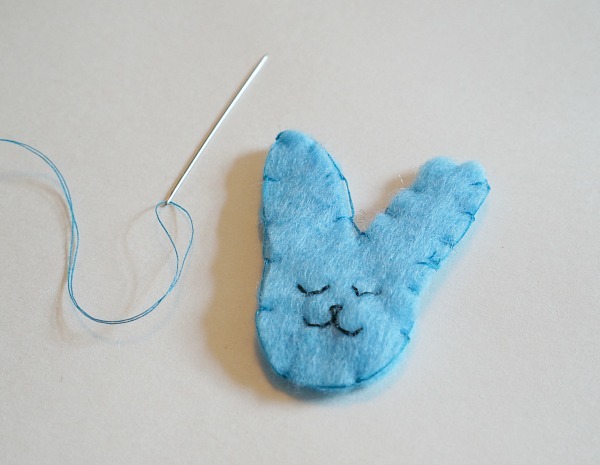 I find making closed eyes easiest…and sweet looking…it only takes three quick stitches. 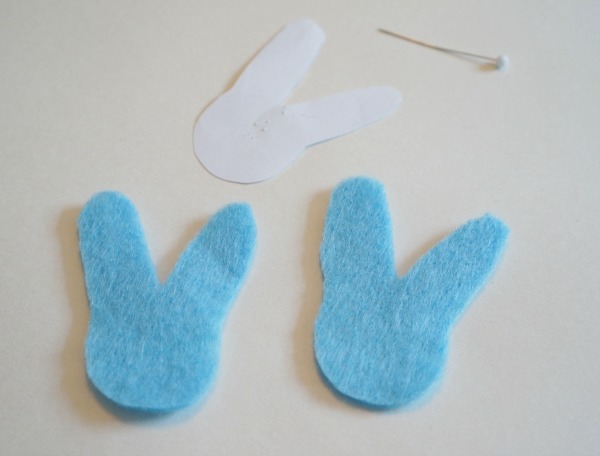 On the second piece of felt, use a thread that is coordinated with the felt, to attach a small jump ring. The ring is for the necklace string. If you don’t have a jump ring simply sew the necklace string directly to the back of the bunny. Once all the detail work is done, it is time to sew the bunny together. 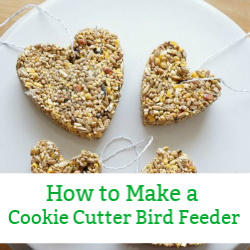 Lay the pieces on top of each other and stitch them together using either a blanket stitch or a simple straight stitch. When the bunnies are stitched together, feed a piece of string, I used waxed linen, or a chain through the jump ring and the necklace is done. Wrap it up and enjoy. 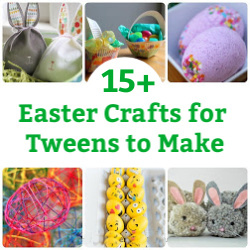 These little necklaces take minutes to make and are a lovely gift for kids of all ages. 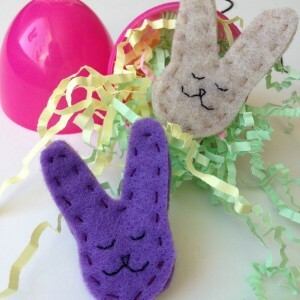 Sew on a pinback, instead of the jump ring and you have a cute brooch to attach to an Easter hat. Another option is to sew them onto a hair clip. Adorable. 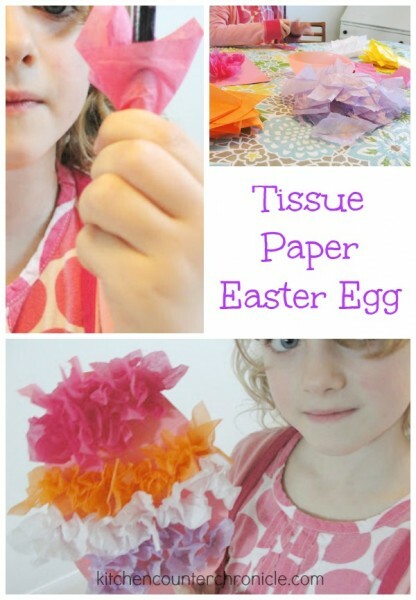 Looking for more Easter recipes and craft ideas, check out our Easter Pinterest board. 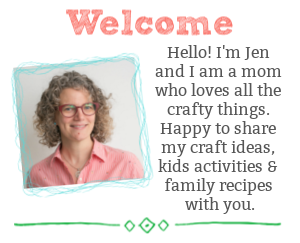 Follow Jen at KitchenCounterChronicle’s board Easter – Crafts, Recipes & Activities on Pinterest.